The Federal Housing Authority (FHA) announced last week that it is significantly expanding the number of electronically signed documents it will allow lenders to accept. The move is part of the agency’s modernization initiative and is another step toward creating completely electronic mortgage transactions in which all documents are created, signed and notarized electronically. The FHA’s move is significant because it backs approximately 40 percent of the new mortgages, and lenders originating FHA loans must abide by its rules. The expanded e-Signatures policy is designed to help streamline the mortgage origination process and help reduce document submission timeframes for borrowers seeking options to avoid foreclosure. E-Signatures initially will be accepted on origination, servicing, and loss mitigation documents, as well as other FHA documents — but not the mortgage note itself. The FHA plans to begin accepting e-Signatures on forward mortgage notes at the end of the year. 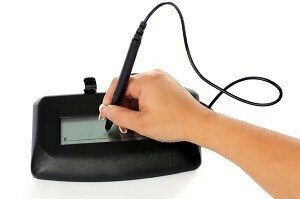 I am a notary I would love to see this come to Alabama it would be just like working from home to earn extra money. My concern identifying the signer. How will I check for proper identification? what platforms can we use for electronic notarizations? are we able to use Adobe?